It’s really been 3 years since I graduated college, and it honestly feels longer – that may be because of the experience I had and the fact that I didn’t enjoy all too well, but I’ll save the dramatics for the motion pictures, and in fact this motion picture did have its dramatics. When Monsters Inc. came out, I was 12 years old just graduating from the 6th grade (wow) – young, hopeful, and eager to step up in the world. When we’re kids, there’s always something that triggers us to want to be something great in life that we never forget; it serves as our passion that we carry on until we reach the desired goal or dream, and for Mike Wazowski he was that kid (or kid-monster) that I was living vicariously through in this movie. 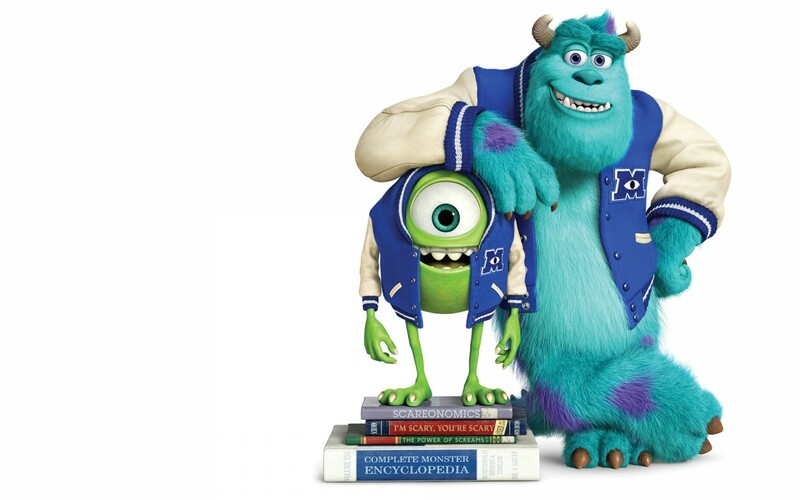 Seeing how everything came together in the beginning before Mike & Sully became best friends was cool because there’s always a history that you (sometimes) question yourself as to “how did this all happen?” Best friends usually have great connections at first or very bitter, but the common denominator at the end is that they became the best of friends. For many, college is where they find their lifelong best friends and/or future spouses, and for others, they’re there for the parties and crazy social lifestyle (you know, bypassing the overpriced textbooks and all). Being in a theatre full of young 20 somethings and older made sense, because we were all kids when we first saw it, and basically in college or just graduating when we were witnessing this movie. What I liked about it was the fact that I could relate to a lot of what was being portrayed in the university (frats, book smart kids, dumb jocks, etc. ), but also the fact that there were valuable lessons about being the best you and not striving to be more than what you were built to be. A lot of people have a plan in their lives, but when it doesn’t go accordingly, then where do you go from there? The friendship of Mike & Sully is one that many people can put their finger on to describe one of their own friendships with someone. That’s how I felt, at least.